With a guest list that included Queensland Deputy Premier Jackie Trad M, the launch night lived up to high expectations. 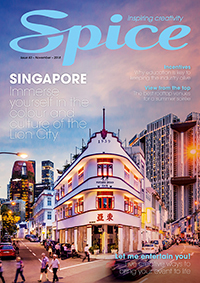 With a guest list that included Queensland Deputy Premier Jackie Trad MP, Brisbane Marketing CEO John Aitken and Frasers CEO Choe Peng Sum, the night lived up to high expectations. With roller-skating goddesses welcoming guests in the port cochere, drinks on arrival in Asana by Pete Evans and two levels of entertainment and food, the party successfully showcased the venue. There was a DJ in the gym and breakdancing ‘morphs’, an aerialist and cocktail bar in the pool area, as well as a folksy-jazzy soloist in the Club Lounge. One whole meeting room was dedicated to a healthy dessert buffet. In a fun, interactive twist, guests were invited to write comments on the glass wall with whiteboard markers. The party was produced by Onstage Entertainment, Capri by Fraser’s in-house team and PEPR. The new hotel, conveniently located near The Treasury and the river, has 239 thoughtfully designed suites ranging from Studio Deluxe, Capri Club Rooms and One Bedroom Executives suites. 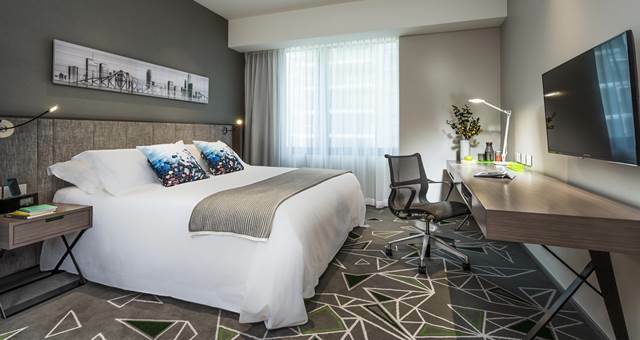 The Brisbane hotel is Frasers Hospitality’s fourth property in Australia after the brand first established its presence in Australia with Fraser Suites Sydney in 2007, followed by the opening of Fraser Place Melbourne in 2011 and Fraser Suites Perth in 2013. 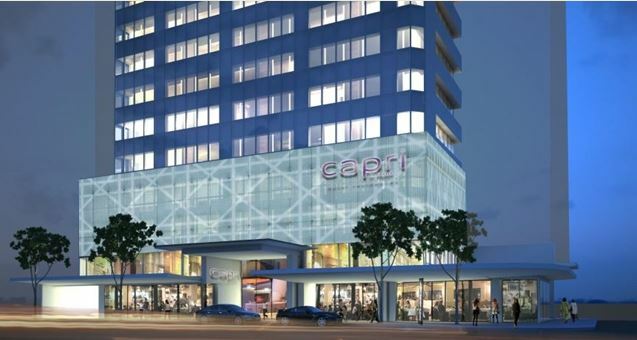 Catering to the ‘always on’ lifestyle needs of e-generation travellers, Capri by Fraser offers guests the flexibility of choosing how they want to work, live and play by providing an extensive range of hotel facilities along with the full spectrum of serviced residence offerings. This means offering a range of e-efficiencies including iPad-activated check-ins, e-Concierge, e-Print facilities, free WiFi to keep guests constantly connected, and providing the option of in-room cooking or restaurant dining, working out at the gym any time of the day, and doing your own laundry or having it done for you. 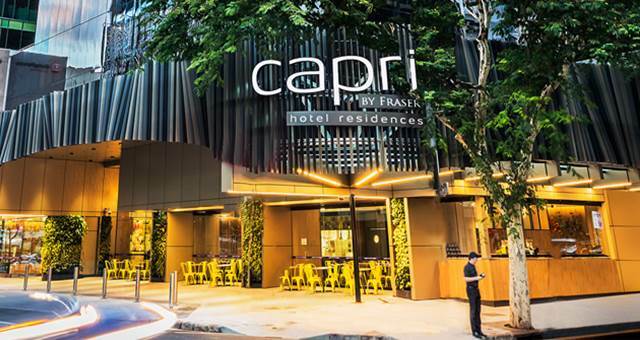 Capri by Fraser is located at 80 Albert St, Brisbane 4000.